What Does Your Dog Dream About? Have you ever watched your dog sleeping and seen his legs twitch or his paws moving? It’s impossible not to think that they are dreaming, but for many years scientists weren’t sure if animals could dream in the way that humans do. Following a series of studies where the brain activity of rats was monitored going about their business during the day and then compared to the patterns in the brain while they slept, scientists have been able to finally prove that animals do dream just like us. No one completely understands the process of dreaming, but it is thought that it helps the brain to process information and experiences throughout the day, hence the reasons that puppies (and human babies) sleep so much, because their brains have so much more to process. Sigmund Freud once theorised that dreaming is like a safety valve for all of our unconscious desires, it’s fun to imagine that this is correct and our dogs are dreaming about non-stop pats, unlimited treats and chasing their favourite ball! In reality, as humans, we tend to dream about the things that we see throughout the day and studies show that dogs are no different. Dogs can also experience nightmares or bad dreams as well. Animals that have been mistreated or come from unhappy homes tend to whimper in their sleep or show signs of being frightened, while a happy dog will paddle his legs as though running, wag his tail or twitch his nose. 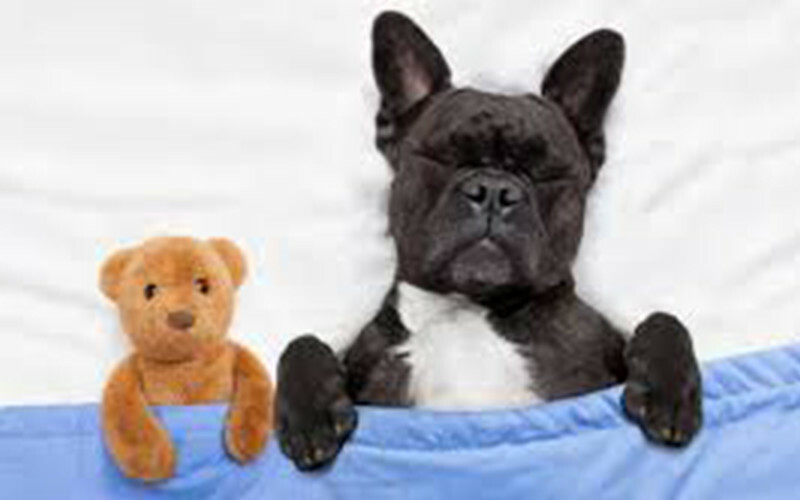 It’s very likely that dogs dream about the things they see and do throughout the day, so the best way to give your dog the best dreams, is to give them lots of fun day time experiences with plenty of sleep in a safe and warm environment. If dogs do dream about the things that interest them, then it strongly points to our pets dreaming about us. Our dogs are attached to us and it makes sense that they would dream about the person they care about the most! Dogs sleep about half of their day, so they have plenty of time to dream about their owners as well as their other doggie favourites. Jim’s Dog Wash can help with pampering your best friend and ensuring that they have lots of fun, happy thoughts to dream about. Our mobile operators come to your home to wash and groom your dog in a warm and safe environment where there are no other dogs barking or threatening them. Your dog will never be far from you (their favourite person) and you can rest assured that our fully trained franchisees know how to pamper and spoil your dog.